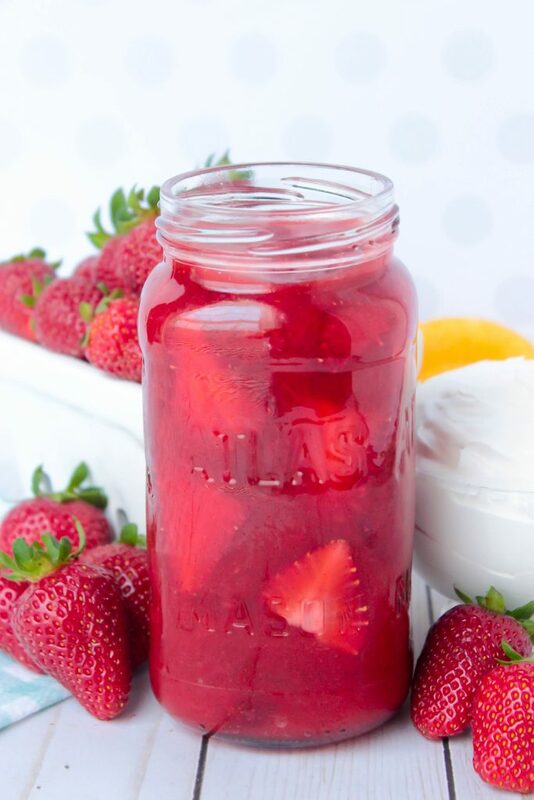 Sweet Homemade Strawberry Sauce that’s perfect for topping ice cream, shortcakes and yogurt! It’s so good that you could even eat it with a spoon with some cool whip! 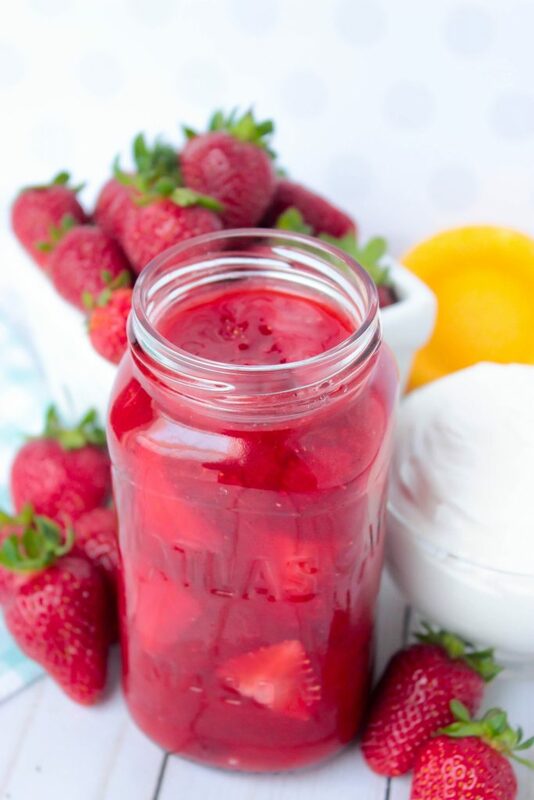 A spoon and a bowl of cool whip is all I need to enjoy this homemade strawberry sauce. I mean really, I could probably just eat it alone with a spoon but the whipped topping makes me feel a little better about just eating strawberry sauce from a jar. haha. 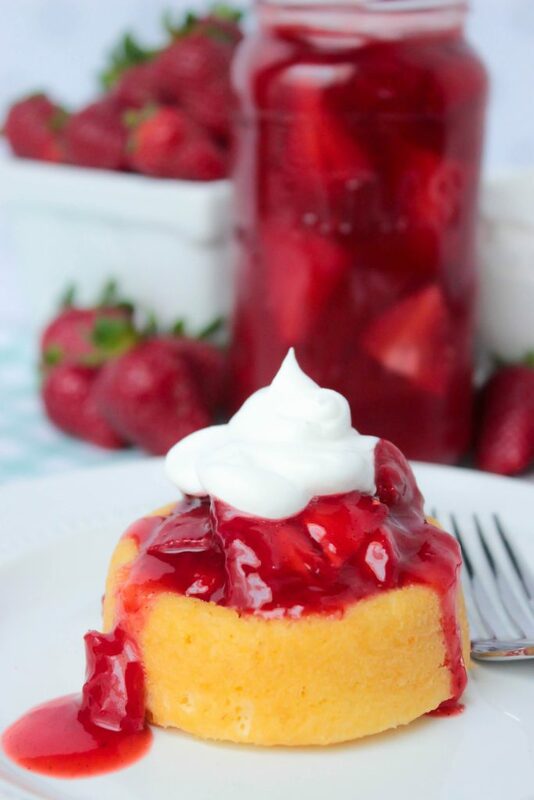 I love a good strawberry sauce but let me tell ya something…homemade strawberry sauce is where it’s at y’all. Oh it’s so good. Mom loves Strawberry Shortcakes, so back on Mother’s Day, she wanted Strawberry Shortcakes with the little cakes and strawberry sauce. I took on the role of dessert and while I did buy the little cakes (because new mom here! Store bought is what I’m going with haha), I decided that a dessert to celebrate my mom and to celebrate my very first Mother’s Day that I wanted to make my favorite vanilla strawberry sauce. It was a great decision. haha. I know it’s been a while since Mother’s Day and I’m just now sharing this recipe with y’all, but that’s ok. This isn’t a Mother’s Day recipe, I just happened to take it photo back in May when I made it for Mother’s Day. It’s actually perfect for anytime during the summer. Just think! You can pour this over ice cream, homemade milkshakes, banana splits….oooo so many things! You’re going to LOVE this recipe so much! Ps. 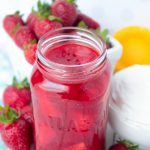 It’s even more fantastic if you make this with summer kissed strawberries from the Farmer’s Market! 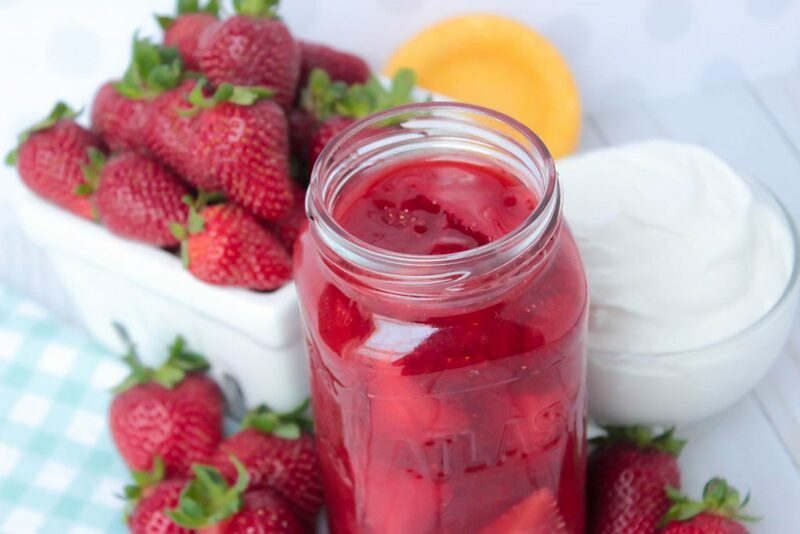 Sweet Homemade Strawberry Sauce that's perfect for topping ice cream, shortcakes and yogurt! It's so good that you could even eat it with a spoon with some cool whip! In a medium sauce pan, add 2 cups of sliced strawberries, sugar and water. Stir and Bring a boil. Reduce to a simmer. Simmer for about 10 minutes. Add in the rest of the strawberry slices and simmer for 2-3 minutes. Add in lemon juice, and vanilla. Add in butter. Stir well. Wow. What a reminder of many happy days in the home of my youth. When strawberries were in season, my mom always made strawberry shortcake. She bought whipped cream and those little sponge cake cups at the store, and used this sauce to make the dessert. I still do it for my family today. In my mind, this just cannot be beat. I would call it comfort food to the extreme. This is the bomb. Just put it on my pound cake. Thanks for this recipe.